People here are stilling riding on the road brakeless? Fair enough. I think I was just wearing it at a funny angle. Here it is next to an SM300. It’s got to be the most bonkers watch I’ve ever seen. The bracelet fits like a seatbelt. I’m doubtful that would require servicing at that age. It’s more likely to just need regulating which is a ten minute job to do. For some reason, hairsprings exhibit an effect where there elasticity varies from new which can cause the rate to vary as they bed-in. Cool. I have the non-chrono version. Got myself one of these Newmark reissues. It’s got a Seiko Quartz movement with sweeping centre-seconds. Acts just like a mechanical. Hard to say. I can’t remember ever seeing one in this condition, plus this is the stainless version (some were plated brass). I’d say £600 would have been a steal. The price it went for was still a great deal. I just think it’s a superb design that watch. 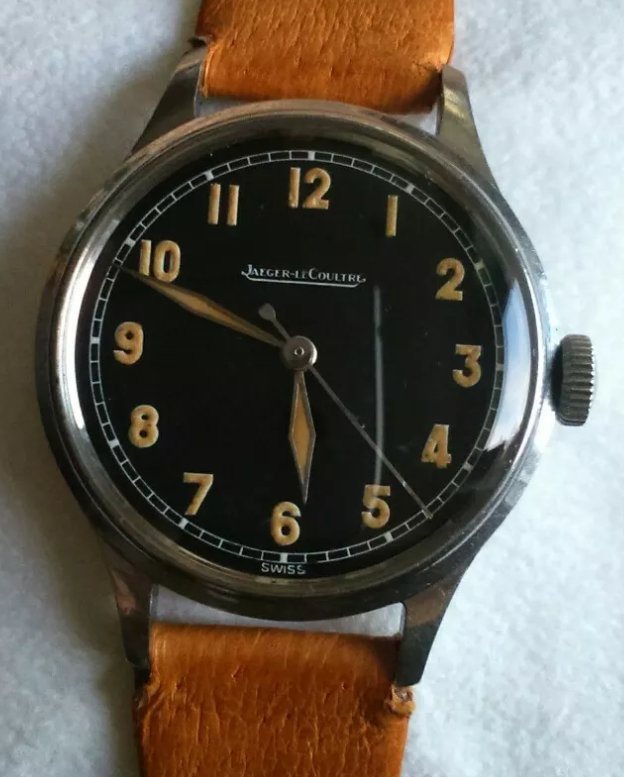 It has the hallmarks of a mid-40’s watch, it’s relatively large for its age, plus it has some unique JLC style features. Can give some advice regarding refunds. On what grounds did you request a refund - item not as described?